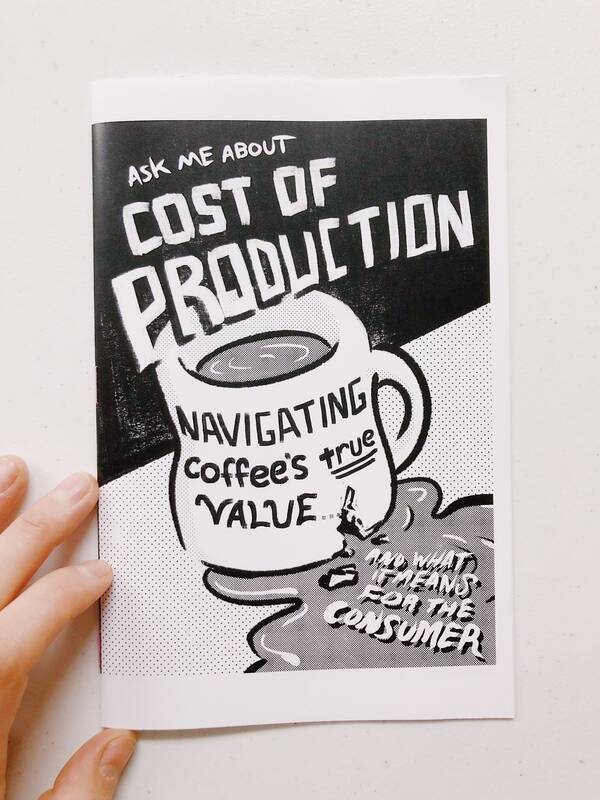 Ask Me About Cost of Production is a six-page comic written by Mike and Caryn Nelson, co-owners of Junior’s Roasted Coffee and Guilder, and illustrated by Jim Kettner. 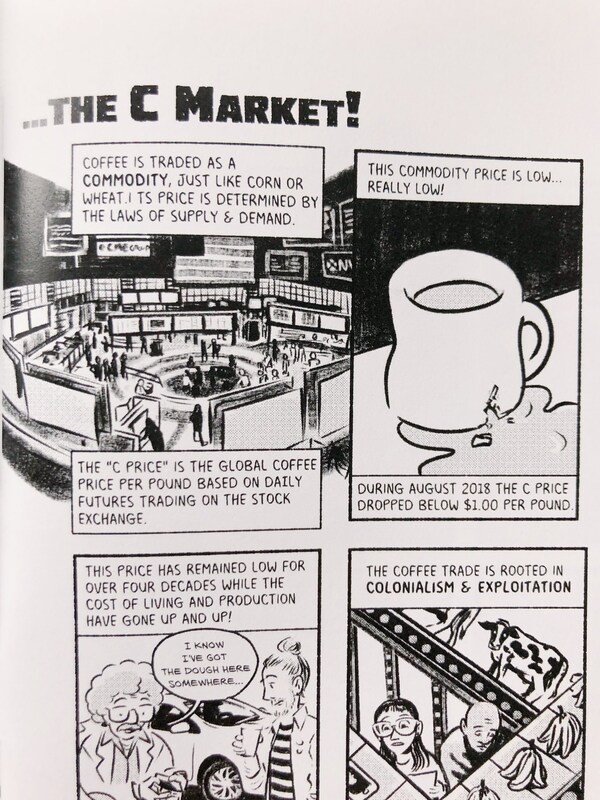 The comic begins with an explanation of the C market, how it concerns the coffee consumer, and a quick look at the implications of low coffee prices for coffee production. Then it details the process of the Cost of Production Covered Project with Terra Negra Trade Company, a Guatemalan coffee importer, and Santo Tomás Pachuj, a Guatemalan coffee farm. 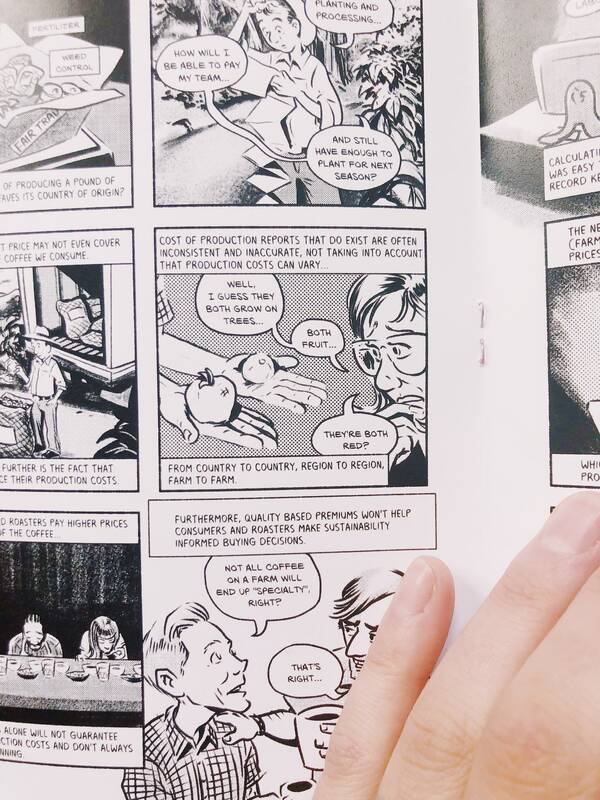 The comic concludes with recommendations for the reader, and gives a short afterword with acknowledgements. 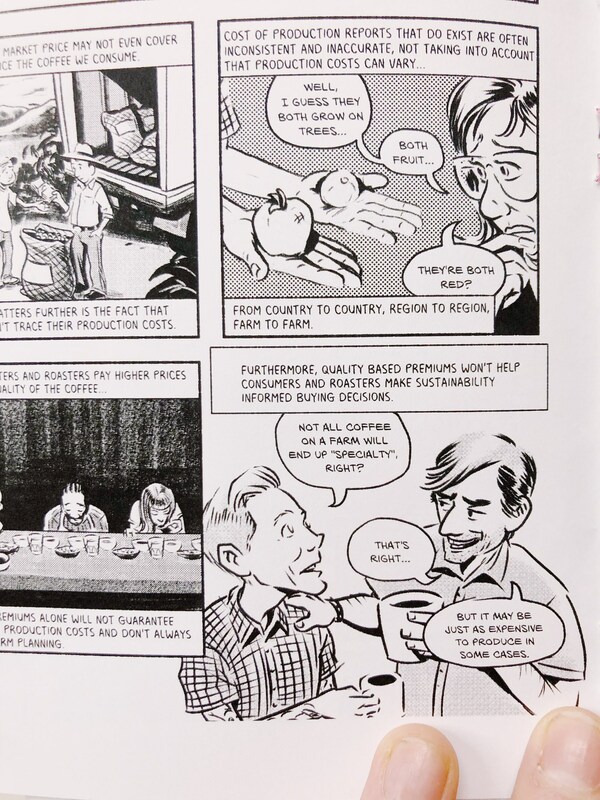 "Ask Me About The Cost of Production" reads easy, yet communicates complex sustainability challenges quickly. 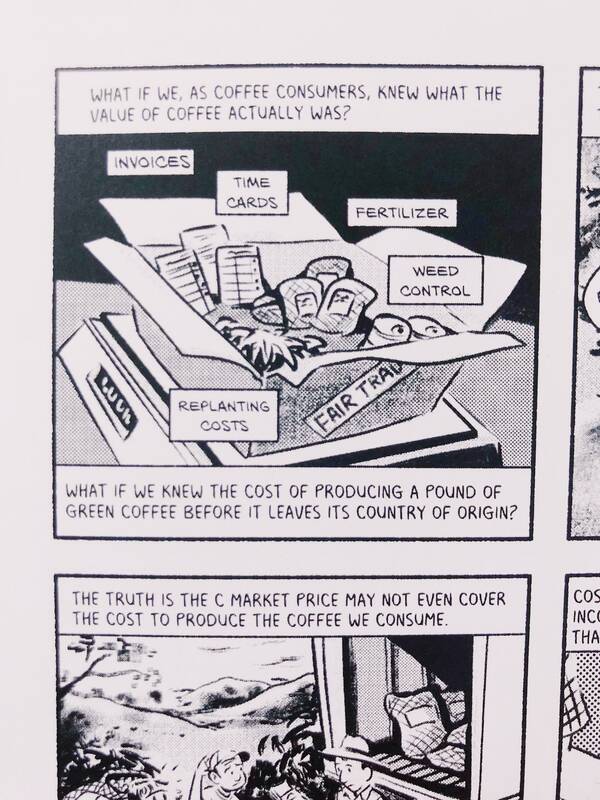 It intends to draw reader attention to the interdependence of the roaster, importer, and farm businesses and the consumer’s interconnectedness with global ecological, economic, and social dimensions. A greater goal of the project is to get consumers to draw bigger connections to other products they interact with or consume on a regular basis.